Gloucester Rugby Club realised their pitch at Kingsholm Stadium was underperforming and in December 2017 they decided to upgrade the drainage and playing surface. Like many other professional clubs, they installed hybrid grass to create a more durable, consistent natural grass playing surface. Gloucester Rugby conducted an extensive research into the many hybrid grass playing surfaces available on market and they chose HERO Hybrid Grass, a new generation hybrid grass which is unique in its performance and versatility, following feedback from players, strength/conditioning and medical staff, as well as other performance staff. HERO is different by design. The unique knitted construction delivers the design intent – a superior natural grass playing surface comprising natural grass and artificial grass. The artificial grass fibres are evenly spaced and populated, which guarantees consistency, and they are anchored via knots to an open grid which guarantees longevity. The open grid is exclusive to HERO. It guarantees optimum drainage and root development, which enables the natural grass to thrive and recover, and it enhances biomechanical performance, by allowing a player’s energy to be absorbed and returned from the playing surface. All critical factors in the decision making of Gloucester Rugby. HERO creates stability, which creates consistency, which creates safety. The artificial grass fibres provide the vertical stability and the open grid provides the horizontal stability, thus creating a consistent and durable surface desired by Gloucester Rugby. HERO also passes FIFA and World Rugby playing standards for natural grass. HERO is a pitch solution. Gloucester Rugby required a versatile pitch that could support a season of rugby (incl. trainings) as well as concerts and functions. The Club identified this need, and County Turf were able to recommend a pitch solution to meet this need – HERO. HERO technology provides load-bearing strength in the playing surface, which is required for concerts and other weight-bearing events. HERO technology also provides a turf replacement option, a must if the natural grass is damaged by a concert and needs replacing prior to the next rugby event. 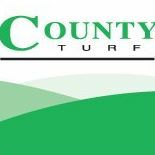 County Turf and their turf farm are integral in supporting Gloucester’s initiative to have “lay-and-play” replacement turf “stadium-ready” 365 days of the year. HERO is also 100% recyclable after use. Stephen Vaughan, CEO of Gloucester Rugby said “This was a significant project for the club and it was very important that we applied our due diligence. I spoke to numerous clubs and their staff before making the vital decision. We are delighted that we chose HERO Hybrid Grass as our preferred playing surface at Kingsholm Stadium’. He continued … “the installation this summer went exceptionally well. All works – from removing the old grass, re-laying a new drainage system, and installing the HERO Hybrid Grass - were completed within 5 weeks, making certain we are more than prepared for the new season ahead. It is the first time in the Club’s recent history that we will allow training on the stadium pitch and this is already happening only 8 weeks after completion of the installation, which is very, very impressive”.